Bollywood superstar Salman Khan's Tiger Zinda Hai released on Thursday at the UAE Box Office. The film, directed by Ali Abbas Zafar of Sultan fame stars Katrina Kaif in the female lead. And as expected, Tiger Zinda Hai has opened to an earth-shattering response on day 1 at the cinemas across the UAE. At several cinemas across the Dubai, the opening shows started at morning 7:00 AM with nearly 90% occupancy, which is unheard for the morning shows in UAE. 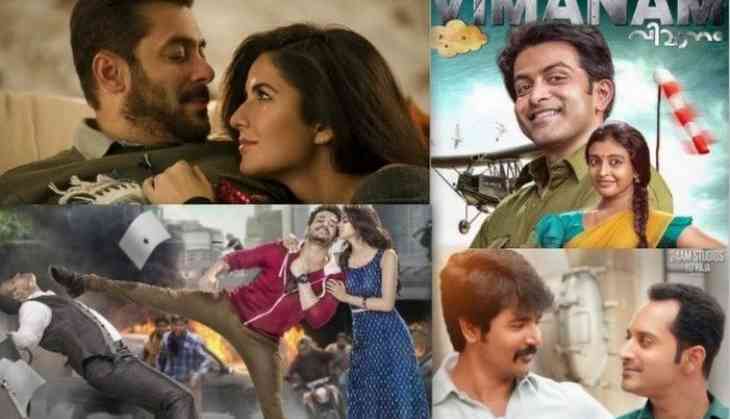 The release date change of Tamil film Velaikkaran from Thursday to Friday has also worked in favor of Tiger Zinda Hai to get additional screens as well. From evening/night show onwards, the Salman Khan starrer has recorded 100% occupancy at most of the cinemas across the UAE. The day 1 collections are yet-to-be-revealed, however, going by the early reports, Tiger Zinda Hai has recorded one of the best openings of 2017 at the UAE Box Office. Meanwhile, the major releases of Friday, Tamil film Velaikkaran, Malayalam film Vimaanam and Telugu film Hello too started its's UAE theatrical run on a good note. Despite the clash, all the South films have managed to get reasonable screens in UAE and all three films opened to positive reports from the audience and critics alike. Velaikkaran stars Sivakartikeyan and Fahad Faasil in lead roles while Vimaanam featured Malayalam superstar Prithviraj Sukumaran in the titular role of Venkidi, a deaf and mute person. Hello stars Akhil Akkineni and also marked the acting debut of director Priyadarshan's daughter Kalyani Priyadarshan.